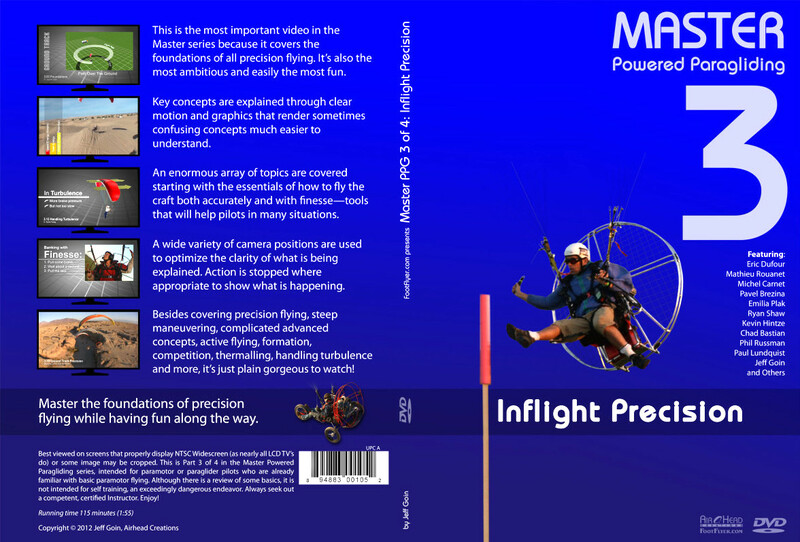 Part 3 of 4 in the Master Powered Paragliding Series. This is the most important video in the series because it covers the foundations of all precision flying. It is also the most fun, incorporating a few minutes of gorgeous, fun flying between some sections in a fast-paced style to the beat of new music. 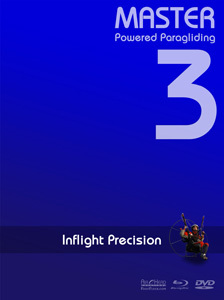 There's more than meets the eye for super accurate control of flight path. Height, speed, rolling out of steep turns precisely while managing energy start out the expose. Then following a set ground track, foot dragging, handling turbulence, and competition are covered in detail along with many others. 3-D animation and other graphics combine with frequently beautiful flying scenes to crystallize understanding of certain core principles. Even for non-competitors there is a lot to learn from the competition section which includes how to fly a world record cloverleaf, with animation that clearly shows how its done--from power management to ground track and speed control. We'll show how world champion Mathieu Roanet pulls off his amazing times and fly with U.S. Champion Eric Dufour and English Champion Michel Carnet, watching from the pilot's perspective as animation details what they're doing. We explain the important concepts and show how to put them to work. This is also the most fun to watch. Flying scenes from all over the world are included in a few places that celebrate the incredible freedom that precise flight gives us.